Heck, it's barely even considered technology. German automakers have consistently been at the forefront of new technologies. BMW, for instance, was the first to introduce a system where a variety of functions, such as the stereo, climate control, and navigations, were all intertwined into a single unit – iDrive. The first iDrive was launched in 2002 and its center console knob and interface combination changed how automakers integrated and designed such systems. More recently, BMW has introduced gesture control (to mixed reviews), while Audi and Mercedes-Benz have made impressive advancements of their own. 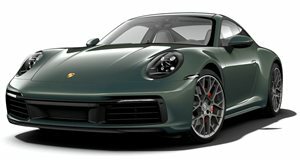 Porsche, on the other hand, has its iconic 911 and the model’s loyalists don’t like too many changes happening too fast. Switching from hydraulic to electrical steering caused something of an uproar, and let’s not even go into the backlash Porsche faced when it replaced its air-cooled flat-sixes with water-cooled versions when it introduced the 996 911. So how does Porsche feel about things like gesture control and touchscreens? Will they completely replace old school switchgear? Nope, at least not for the foreseeable future. Take a look at thet and you’ll see a. But unlike the previous 911, Porsche cleaned up the number of buttons on the central console in an effort to make things less complicated. But what we really dig are those five analog buttons above the air vents and below the touchscreen. They have a charming old school look and feel, and they’re there because Porsche listens to its customers. 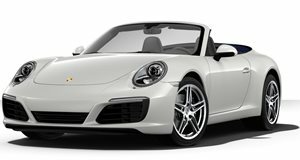 The latest Carrera Cabriolet tops 70 years of open-top Porsches.